For centuries, aromas have been known to promote healing. Essential oils affect the body in different ways. When pure essential oils are inhaled through the nose, it’s believed the olfactory nerve is stimulated, sending messages to the limbic system, which may have a relaxing effect on your body. ● Essential oils are made from flowers, plants and other elements grown in nature (not a lab). ● They are proven to have a positive influence on your mind, body and soul. ● Each essential oil has a different effect, so you can select your favorites based on scent or on what you need that day. Feeling a bit blue or in a funk? 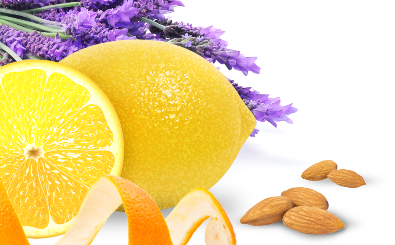 Plug some orange essential oil in your diffuser and let the uplifting citrus put the spring back in your step. Or perhaps you have a huge project due, but you’re having trouble staying focused - the minty, fresh scent of peppermint will keep your mind from wandering. ● Good quality essential oils will awaken your senses and promote tranquility and peace in your space. The benefits are endless. ● Soothing aromas stimulate the part of the brain that affects emotion and counteract anxiety, improve mood, reduce pain and deepen relaxation. ● The chemical properties in our essential oils cleanse, tone, and balance your skin and hair while humidifying and ionizing the air you breathe. ● Considered the quintessential spirit of plants, our essential oils revitalize positive energy while engaging your strongest emotions and deepest memories. Aromatherapy may be added to your relaxation routine. Every individual is unique, so experiment and pay attention to your responses to particular scents. Since essential oils must be blended with carrier oils for body application—such as unrefined organic apricot nut, sweet almond, coconut, grapeseed, olive or jojoba it’s best to seek dosage advice before applying to skin. 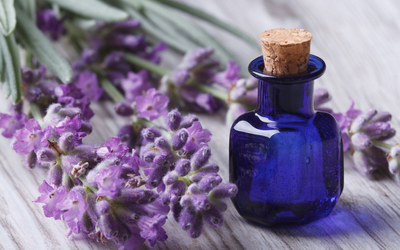 In addition to aromatherapy bathing, aromatherapy can be used in massage or vaporized or diffused throughout a room. Look for aromatherapy diffusers or oil burners. Combine therapeutic essential oils and use in a diffuser to purify the air. The best essential oils for stress are chamomile, geranium, lavender, marjoram, and rose. Geranium is balancing, antidepressant, removes the compulsion to overwork and symptoms of PMS. Rose Relieves anxiety, connects to the energy of the Divine Mother, opens the heart center for feelings of unconditional love for self and others. Lemon is a cleansing aroma with nature antiseptic properties commonly used as a natural cleaner as well as to increase focus and concentration. Orange is a powerful antidepressant and can be used to combat common ailments such as colds, constipation, and stress. Orange Blossom relieves tension and symptoms of anxiety, connects to feelings of purity and serenity, uplifting. Peppermint’s unique cooling and warming properties can treat muscular pain, PMS, and stress, as well as promote digestive health and boost energy. Eucalyptus is commonly used to relieve sore joints and muscles and treat various skin irritations including blisters, burns, and insect bites. 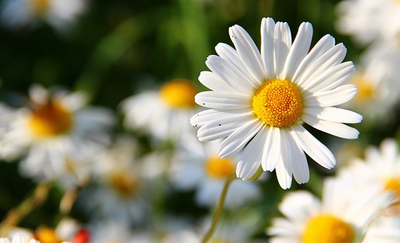 Chamomile is anti-inflammatory, pain relieving, calming, sedative, relieves headaches and feelings of anger. Use in a diffuser or spritzer; diffuser options worth a try: www.zaq.com ZAQ believes any environment can be transformed into a sanctuary of tranquility. They try to invoke peaceful aromas anywhere, awaken your senses and help you discover the rejuvenation of aromatherapy diffusers. 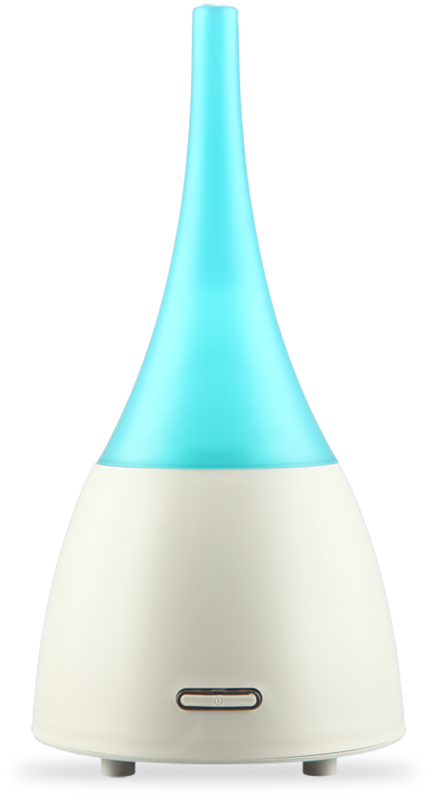 ZAQ diffusers come with LiteMist Aromatherapy system to distribute the essential oils in the form of a, well, light mist. ZAQ diffusers break up the mixture of water and essential oils into millions of microparticles that are released in a stream of mist. The activated ingredients of blended essential oils are easily absorbed through your skin while the scents freshen the room and provide you with aromatherapy treatment. 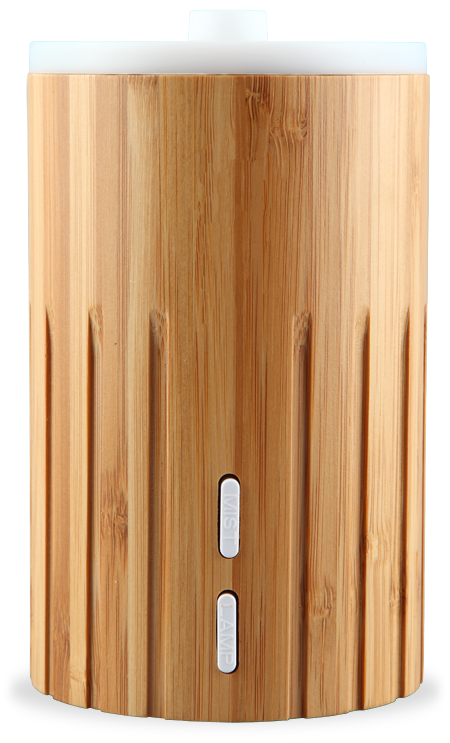 The Allay is ZAQ’s signature diffuser. They like to think of it as ZAQ’s most versatile (hopefully you agree!). 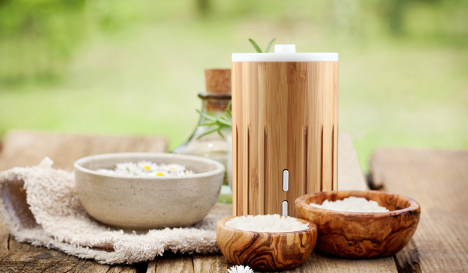 The Bamboo diffuser is where natural meets natural. The bamboo outer shell is neutral and exotic, bringing a bit of nature to your space.